The weekends are for new recipes. School is now underway and during the week it's too stressful for me to try out new things. Occasionally I'll feel adventurous mid-week, but I usually just stick to the basics we like. These almond crusted chicken strips are easy to make and they don't take too long. We ate them with this GF Thai Peanut Sauce. I'll be eating them in my salad this week (if Grant doesn't finish most of them off tonight)! I think they'll be added to our stash of regular meals. 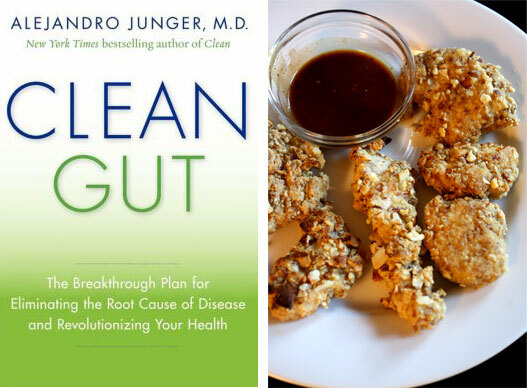 A couple weeks ago I read Clean Gut by Alejandro Junger. It is an excellent book! Though I don't agree with his spiritual beliefs, his research about how the body processes food and how we can keep our gut/intestinal flora flourishing is really interesting (to me at least)! :) He breaks our whole digestive system down so it is easy to understand and he discusses how our bodies respond to different types of foods. This recipe is from Clean Gut, but you can also find it here on the Clean blog. I've also made these Clean brownies. They are really good but they pack a calorie punch (from the nut buttter). 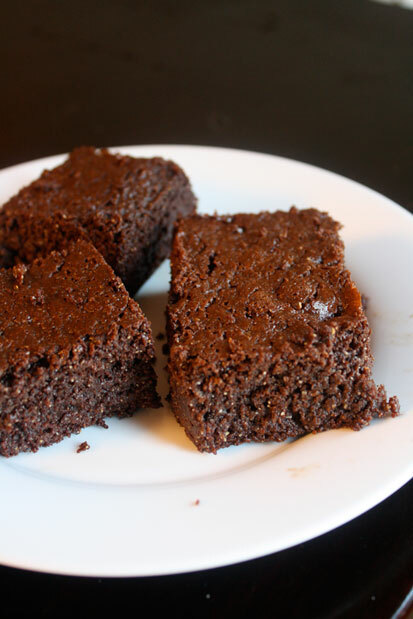 The base of these clean brownies is made up of almond butter & raw cocoa (flour & sugar free). I cut them up small and they last longer and help with portion control. Delicious if you want a clean treat full of protein & healthy fats! They are actually better the day after you make them. I found that ours were more crumbly just out of the oven and after a few days they set and held together more. Yumm. I'd recommend both the book and the blog.